It’s truffle season in Italy, and Gubbio, a lovely medieval hill town in Umbria, is known for their truffles. To celebrate our anniversary, Michael and I set out for Gubbio on a beautiful fall afternoon earlier this week. After checking out the views of the countryside from the Duomo, we ate lunch at Picchio Verde. 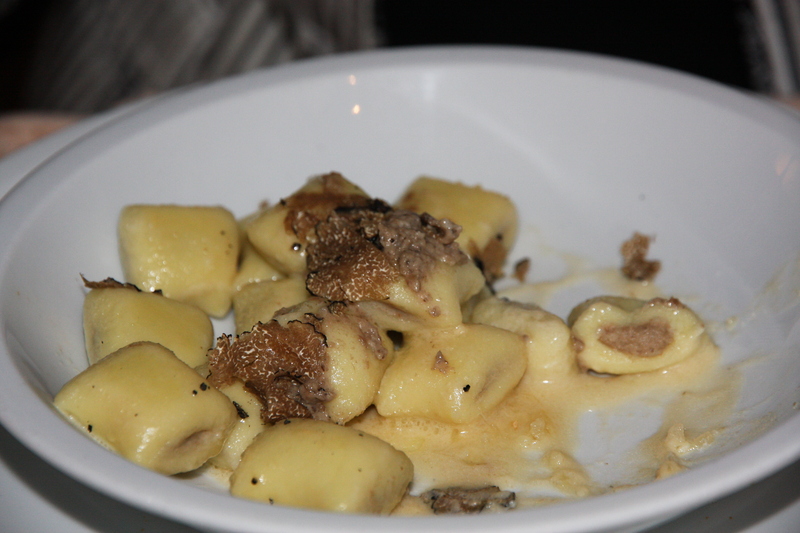 Michael ordered a very tasty homemade pasta dish with goose sauce, but nothing compared to my homemade gnocchi stuffed with black truffles and topped with black truffle shavings. Che golosità! It was fantastic—one of the best meals I’ve had in Italy. If you’re ever in Gubbio, order this dish! This entry was posted in food, Italy and tagged gnocchi, Gubbio, medieval, pasta, truffles, Umbria. Bookmark the permalink. omg! looks delish! i’m hungry!